Public Security Minister Erdan says IDF has orders to treat kite-flying firebombers as regular terrorists. 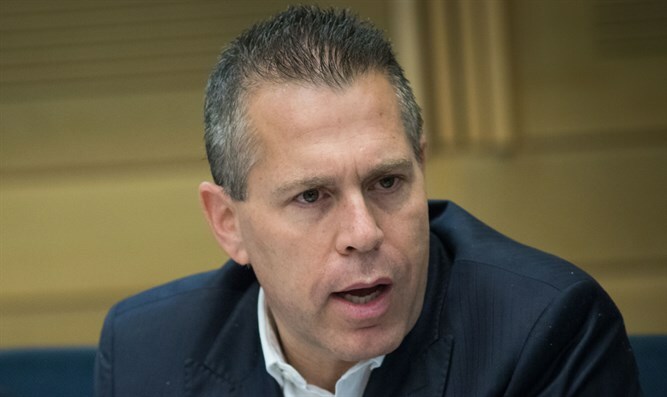 Public Security Minister Gilad Erdan (Likud) on Wednesday morning told Radio Darom that those flying firebombs into Israel in order to set fire to fields will be treated as terrorists. "In my eyes, this needed to have been done a while ago," Erdan said. "We need to treat those who fly firebombs into Israel just as we would treat any other terrorist." "If we need to use drones and foil the attempts to fly firebombs into Israel - then that is what we need to do." Gaza rioters have been flying firebombs attached to kites and balloons into Israeli territory in order "to burn the farmland," "destabilize, creating confusion," and cause "burned crops." The IDF has warned Israelis not to touch the kites found in Israel, since they may be armed with explosives.